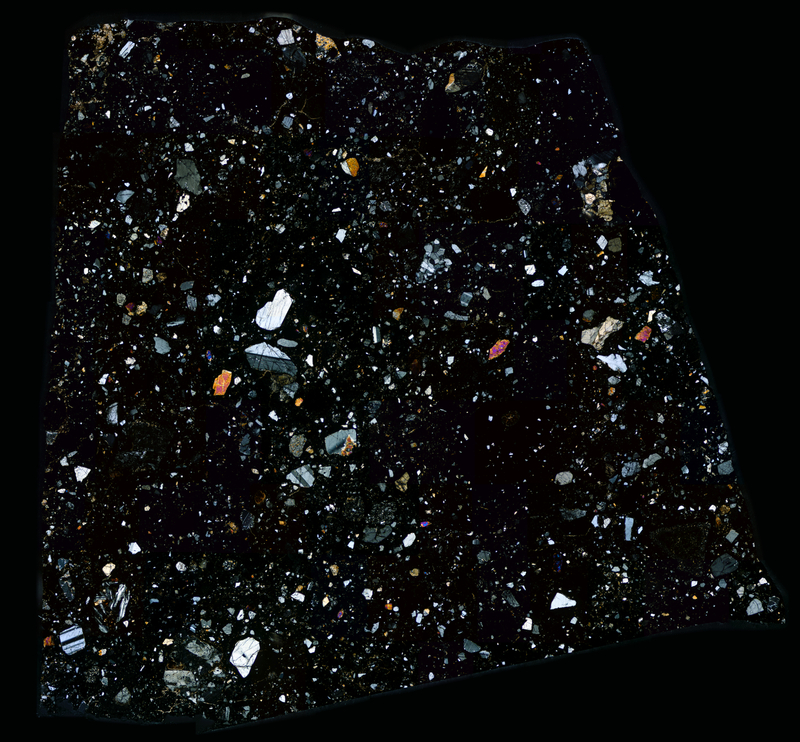 A first hand look at the basaltic crust of Mars, this thin section specimen of the NWA 8171 meteorite (aka Black Beauty) provides an exquisite and unforgettable glimpse back to a time when Mars had oceans of water on its surface. More information from Space Jewels. 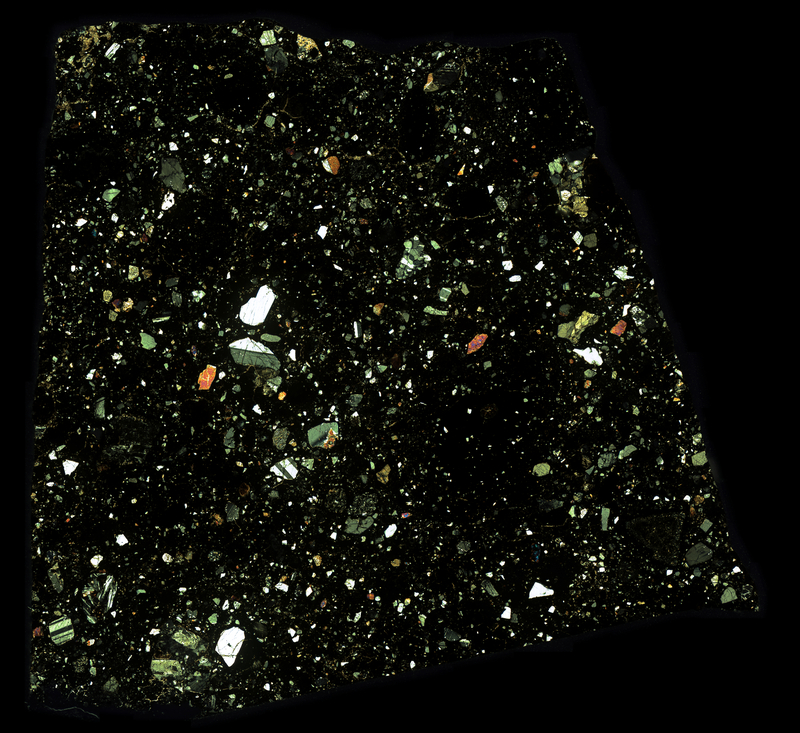 This thin section has been photographed with all three of my cameras. You can directly compare the results from the three versions.